Fretting over a possible downturn in Silicon Valley is now a mainstream pursuit. 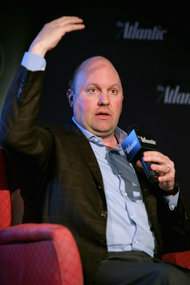 Marc Andreessen, the prominent venture capitalist, took to Twitter on Thursday to warn against excessive spending by start-ups that have attracted capital from investors. Companies that spend money on fancy offices or too many employees, he said, could be in trouble when the market turns. But Mr. Andreessen’s Twitter lecture was notable because he has been one of the most vocal opponents of the idea that Silicon Valley is currently in a bubblelike environment.